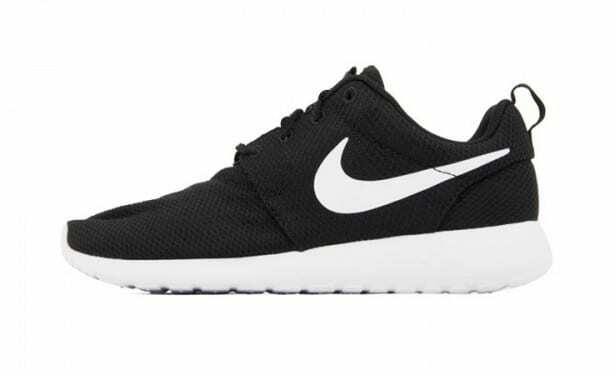 So to begin, the standard black and white Roshe Run. These original trainers may be the most basic but you will be far from basic when wearing them. Team them with your best jeans for a chilled look or even wear them on a night out. That’s what I love about these shoes, you can wear them without feeling like you’ve stepped out of the hood, but rather that you know your business and know how to set fashion. Black is an essential colour for every wardrobe and as these are sold at most high street shops, there is no excuse for you not to own a pair. 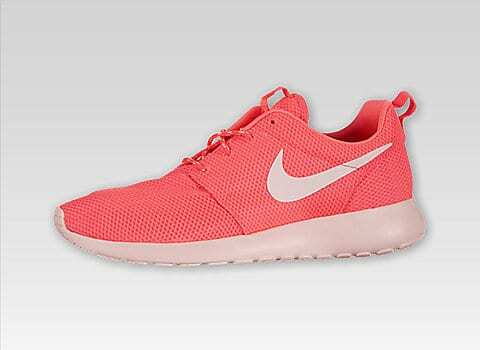 Alternatively if you want to add some colour into your outfit, then Nike also do a range of coloured shoes. 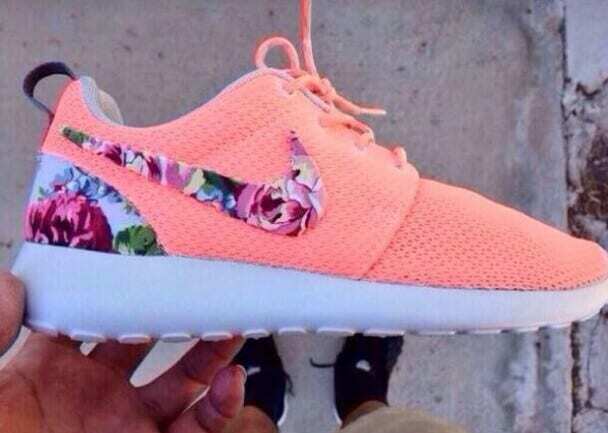 The bright pink/ coral Roshe Run’s are my personal favourite but colours varying from blue and orange also exist. Brightening up any dull out, they can also be used for the gym but more importantly these shoes would look great at a festival. We all know festival fashion is a biggie and for weekend events like Parklife in Manchester or Everywhere in Nottingham, these have to be on your feet, cutting some shapes. As the Roshe Run became such a huge sensation within days of being released, Nike got on the bandwagon and released some limited edition pairs which of course the whole world went crazy for. If there are any fashion lovers out there, you will know that pastel and florals are a must have for 2014. So what better way to wear them, then on a trainer TOGETHER. These shoes would look great simply with a pair of denim shorts, with a plain dress or rocking by the poolside. 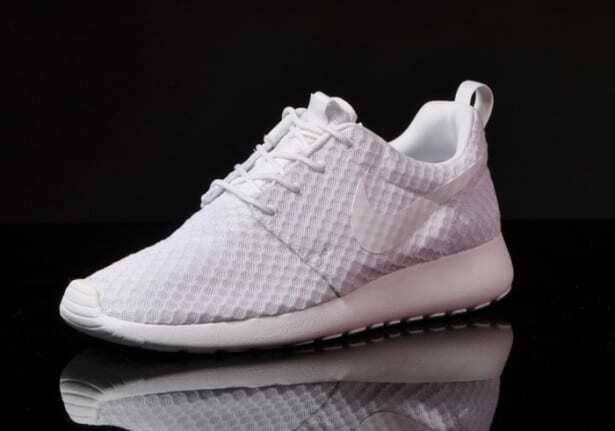 If you like to follow a fashion but lead the crowd then the crotchet Nike Roshe Run’s are perfect for you. They come in a range of colours like black and white but the brighter colours are my favourite. Perfect for the summer, this aqua blue will brighten up a tan and will be great for dancing the nights into the winter. Well done Nike, yet again you’ve excelled in the shoe department.